Graceful Explosion Machine places you at the controls of a powerful, yet agile, GEM: an attack ship with multiple weapon systems and precision control. 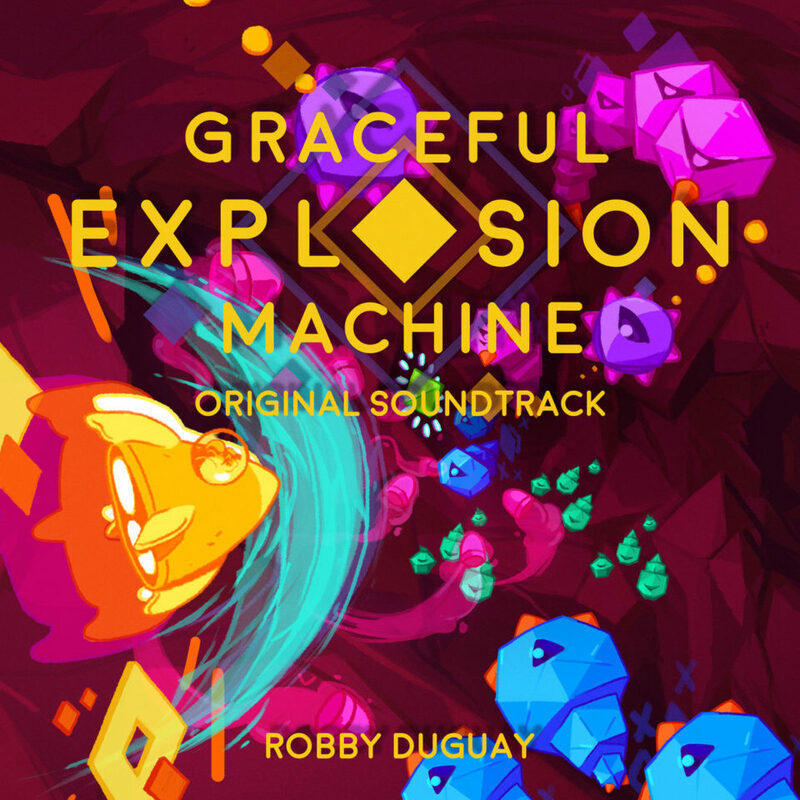 The Graceful Explosion Machine Original Soundtrack is an audio journey from Magentos Prime to Aurum Tau and beyond. Analog synths and driving rhythms help you blast your way through enemies without losing your cool. Over an hour and twenty minutes of music, 17 tracks in all, featuring music from each of the four planets and more! Released April 6th on the Nintendo Switch™, and August 8th on PS4 and Steam.